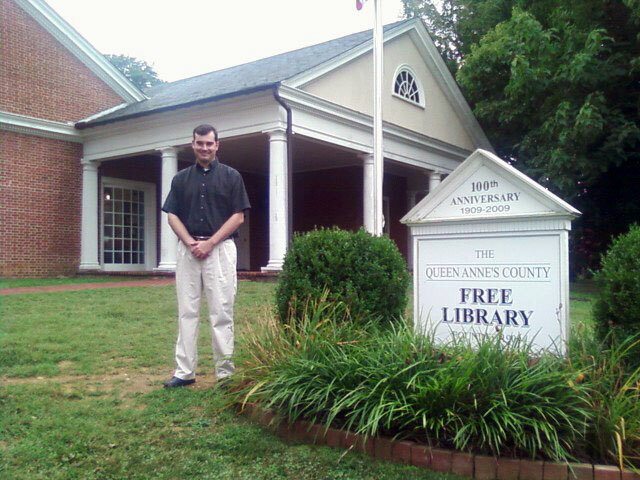 Jeff Rank stands in front of the Queen Anne’s County Free Library, which received an HVAC upgrade through the Maryland Energy Administration’s EmPOWER Energy Efficiency and Conservation Block Grants. The Queen Anne’s County Department of Public Works – Division of Engineering and General Service’s (QAC) does more than balance budgets every day. The agency has a three-pronged mission to respond promptly to customer service concerns, safeguard the environment, and respect its cost-conscious citizens. By working with the Maryland Energy Administration (MEA) and the Department of Energy’s (DOE) Energy Efficiency and Conservation Block Grant (EECBG) program, QAC was empowered to meet its mission while reducing energy consumption and lowering energy costs. QAC immediately responded to the grant advertisement, and was one of the first counties to complete its projects, which totaled $282,692. 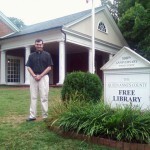 These projects included installing efficient heat pumps at the QAC Office of the Sheriff, a solar energy system at the Detention Center, and HVAC upgrades to both the Centreville and Kent Island libraries. In all, QAC is saving almost 200 megawatts of energy per year, which is the equivalent to powering 15 homes for a year or removing 23 cars form the road for a year. It also results in an annual cost savings of more than $20,000! Under the EECBG program, the 10 largest Maryland counties and the 10 largest Maryland municipalities (based on population) received grants directly from the DOE. MEA manages approximately $9.6 million in the State’s remaining EECBG funds, which the agency uses for projects in the remaining counties and municipalities. All local government EECBG projects were completed by August 2012.